On the feast of the Epiphany, I’m sharing a handmade presepi by a friend of The Mary Project. 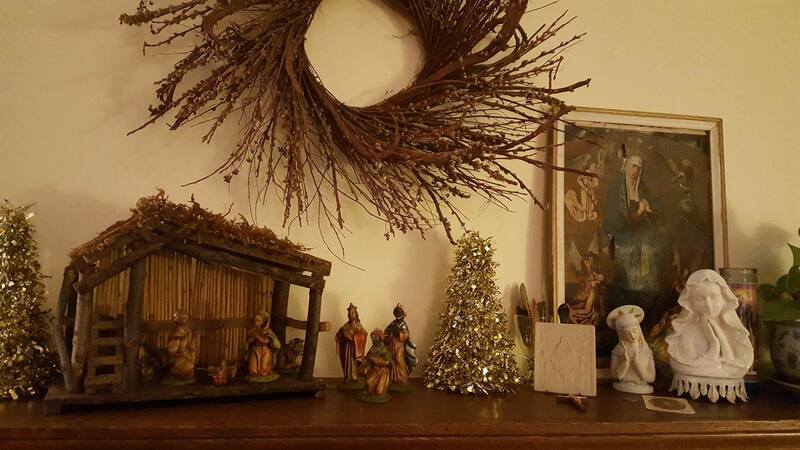 A presepi is an Italian nativity landscape, and elaborate scenes of the three kings approaching Jesus in the manger can be found in windows, basements and yards throughout the Italian American community in New York City. Joseph Sciorra is a scholar of Italian American culture and has captured pictures of many such scenes in his book, “Built with Faith: Italian American Imagination and Catholic Material Culture in New York City. 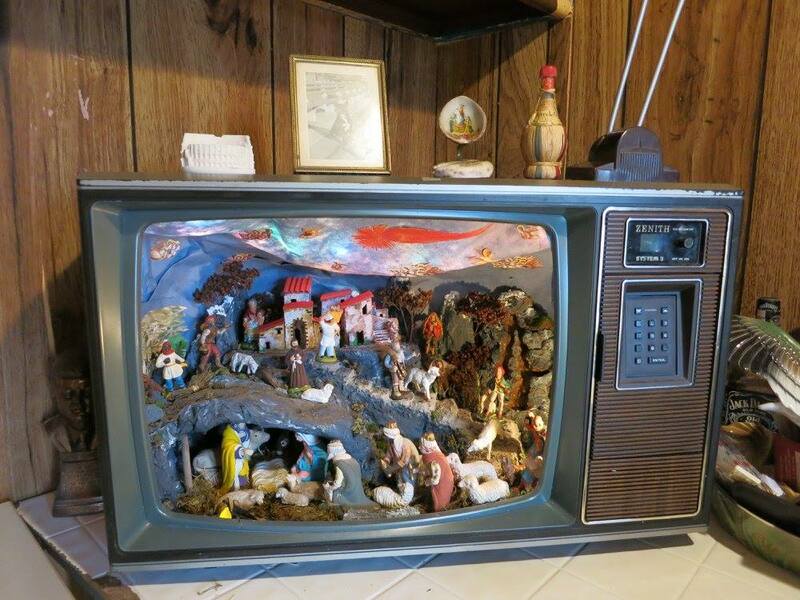 This one he made himself in an old television. Wow! 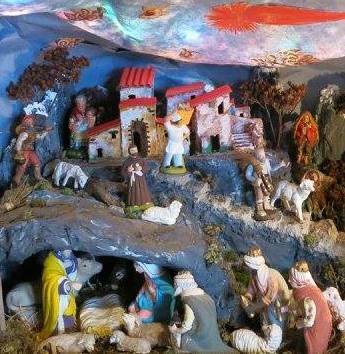 I’m part Italian, and I’m sharing what my nativity scene looks like below. It is passed down from my mother, who was Italian and Irish and not from New York City—but I do believe it was made in Italy! And speaking of Epiphany, read Wally Lamb’s “Biff, Christ’s Childhood Pal” for an imaginative musing on Jesus tracking down the three kings in their native lands. It’s like a Biblical Harry Potter.